Keith Hann - Why Oh Why? : Is it time for politicians to get more intimate with Hoares? Is it time for politicians to get more intimate with Hoares? Barclays not only gave me my first bank account, but my first pay slip, too. In 1972, between school and university, I spent six happy months working for them at 40 Clayton Street West in Newcastle: a branch, like so many hundreds of others around the country, long since closed. I was there because, in yet another disgraceful example of privileged networking, the Royal Grammar School traditionally placed a couple of its less brilliant Oxbridge entrants with Barclays for a spot of work experience. I spent my initial weeks shuffling cheques in the company of a bevy of mini-skirted young women in the first floor “machine room”, home to a single, gigantic adding contraption. Then I graduated to being allowed to serve customers at the counter. The manager was a figure so stratospherically important that I think I spoke to him twice during my time in his branch, on both occasions to explain who I was and why I was there. The experience did give me a nerdish lifelong interest in banking. At weekends, I would drive around Northumberland with my school chums, admiring particularly attractive banking outposts and reflecting that there would be many worse fates than to be a rural bank manager: a respected figure in the community, comfortably if not excessively rewarded, getting to know one’s customers as a good banker should. But when it came to the end of my attachment and I had to write a letter to the local directors of Barclays thanking them for the experience and explaining whether I hoped to return to the bank after university, I felt obliged to say “no”. Mainly because, in those days, I dreamt of being a writer or a bachelor don, holed up in a book-lined room coining incomprehensible academic quips over a glass of dry sherry. With the benefit of hindsight, I would have been far better employed stamping cheques and counting banknotes – and who knows where it might have led? The late Sir Derek Wanless, only a few years ahead of me at the RGS, started his career as a humble clerk at the NatWest. 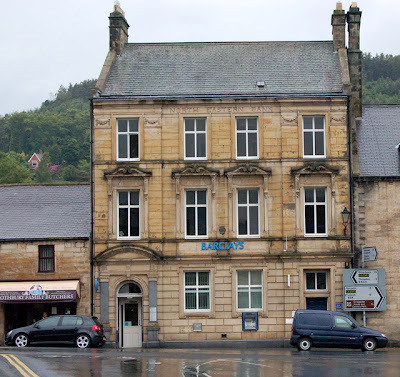 Though admittedly that was a more meritocratic institution than Barclays, where in those days the top job was invariably reserved for a descendant of one of its founding Quaker families, with a name like Barclay, Bevan or Tuke. 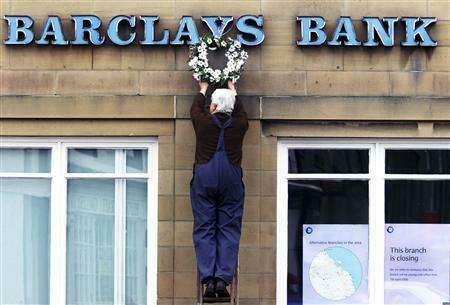 Fast forward 40 years, and traditional branch banking is all but dead. It is impossible to speak to a human being at the bank where one’s account is nominally held, unless one pitches up in person. Nearly every paper-shuffling task I learned to perform has been computerised, centralised and then exported to India in the name of efficiency. Interest rates on savings are practically non-existent and the fact that they remain high on loans is of limited relevance given that virtually no individual or business can get one. Not least because no one with what little remains of local knowledge or customer understanding can apparently be trusted to take sensible decisions. It is clearly far better to be “risk averse” and concentrate all the power and money in a tower at Canary Wharf, where instead of helping a budding entrepreneur to buy some machine tools, it can all be splurged on stratospheric rewards for the tiny few charged with maximising returns by the equivalent of sticking most of the bank’s capital on an outsider in the 3.30 at Pontefract. 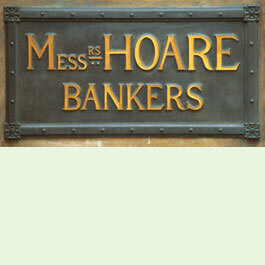 The only traditional bank left in Britain is called C Hoare & Co, and in 340 years in business it has magnificently grown from a single branch in London to a grand total of two. It is still owned by the founding family, in an unlimited liability partnership: always a powerful constraint against reckless adventures. There are obvious risks in suggesting that politicians should get more intimate with Hoares. But when Ed Miliband talks, sensibly enough, about the desirability of more new “challenger banks”, I suggest that he takes a long, hard look at replicating this business model.